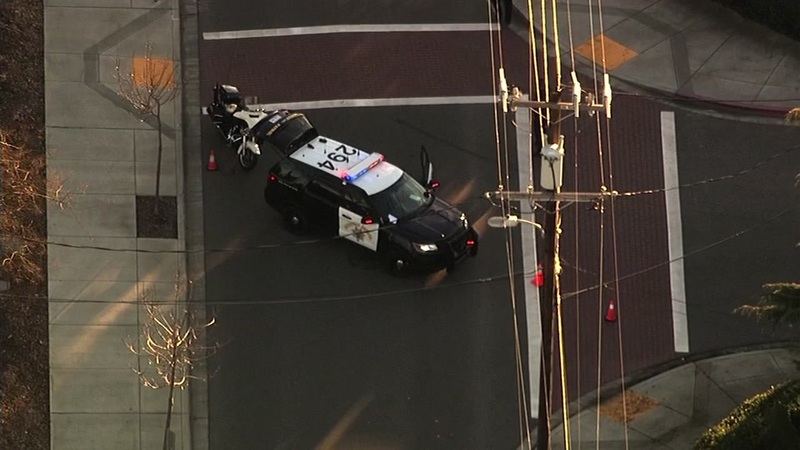 HAYWARD, Calif. (KGO) -- California Highway Patrol is investigating a crash that killed a pedestrian in Hayward. Sky7 flew over the scene in the Cherryland area, just northwest of downtown Hayward. Officers say a woman was driving westbound on Hampton Road just before 7:00 AM Tuesday morning when she hit a pedestrian. The victim has been identified as a woman. She was pronounced dead at the scene. Police tell us the driver is cooperating with their investigation.